It’s no secret. Mothers everywhere love to watch things grow, especially their children. But they also love to make their homes and gardens pretty with beautiful plants and flowers and to feed their families fresh fruits and vegetables. This year, give Mom a green gift she’ll enjoy for months even years and give Mother Nature a boost, too. Since moms everywhere love to feed their families healthy food, she’ll love these low-maintenance, small fruit shrubs from BrazelBerries® that are perfect for containers on patios, decks or balconies and in any size yard. 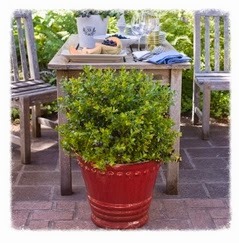 New this spring is Blueberry Glaze, a compact blueberry that looks like a small boxwood shrub covered in delicious almost black blueberries in mid-summer. Best suited for Zones 5-8, these berries pack a healthful punch full of antioxidants and rich with nutrients. Check your local garden center for availability. Taking mom to the islands may not be in the budget, so why not create a topical paradise right in the backyard with easy to grow plants from the Tropic Escape Collection from Costa Farms®. Think what a big impact the luscious red, orange, purple and yellow plate size flowers will make in mom’s patio or garden from spring all the way through fall. These huge flowers bloom non-stop and need little to no care so she’ll have more time to sit and relax. Look for the Tropic Escape collection at your local home improvement store or mass merchandiser. 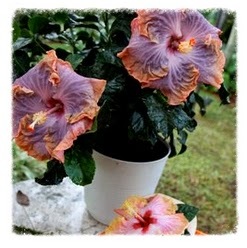 Another great flower for containers, hanging baskets or window boxes are mandevillas. These bold, beautiful flowers bloom from spring until frost. 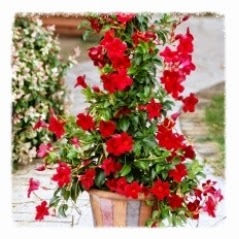 Just in time for Mother’s Day is the new Sun Parasol Pretty Deep Red mandevilla with large 2-3 inch, deep red blooms that keep their color all summer and are great for attracting hummingbirds. And if Mom has a green thumb, she can overwintered it indoors in a bright spot. Longfield Gardens is offering new Spring Bulb Gift Kits that will top Mom’s list. 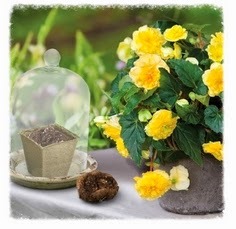 Best of all, each kit is customizable, so the perfect container and flower bulbs can be selected for Mom. The kits range in price from $16.95 to $34.95. Give Mom your heart this Mother’s Day. 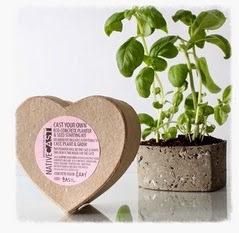 The Cast-Your-Own Heart Planter makes a sweet gift, and Mom will surely have fun making and planting it. Or, secretly make it yourself and give the finished planter as the gift. This heart-shaped DIY kit from NativeCast retails for $15. The Green Cycler by Ecotonix is the perfect gift for the eco-conscious or cooking Mama this Mother's Day. 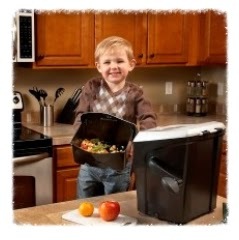 Instead of throwing out food scraps, Mom can learn how to easily shred and compost them with the Green Cycler--and give back to Mother Earth, too. The Green Cycler by Ecotonix retails for $99-$149. Every mom who loves to garden will appreciate a helping hand in the garden and some time to spend with the family. Make up a few coupons for weeding, planting, watering and digging holes. She’ll love you for it – and so will Mother Nature.